Now that I’m off the detox and back to real food, I thought I would celebrate by trying out a new dessert recipe. 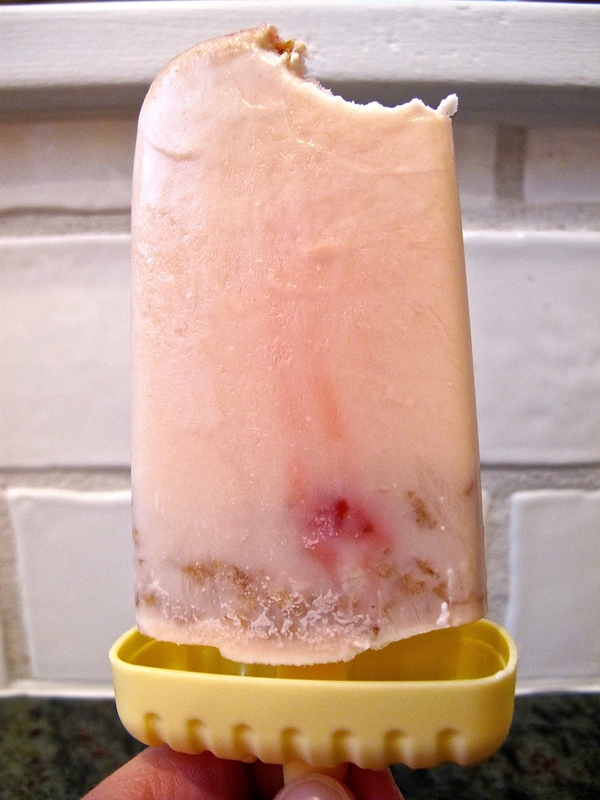 This summer when I was obsessing over popsicle recipes, I came across one called “cereal and milk” from The Little Foodie. I was intrigued — I couldn’t tell if that would be good or not. As I read about it, I realized that The Little Foodie had gotten the idea from a Momofuku Milk Bar recipe. I’ve only been to Milk Bar once, but I was impressed by two great desserts there – the crack pie and the compost cookie. Both sound pretty unappetizing, and as you read the ingredients list you wonder why someone would put that all together. But both are really delicious, and so I was excited to try a Milk Bar-inspired recipe, especially if it sounded a little odd like the rest of their great work (and I was excited to find that Momofuku just gives out their recipes on their site! What! I sense some crack pie in my future). The Little Foodie chose to make her pops with Fruit Loops, which is a great flavor choice. However, my absolute favorite cereal milk comes from Special K Fruit and Yogurt — I love when the milk turns a light pink from the “fruit” pieces (I use that word very lightly) and gets flavorful and sweet. So I thought I would alter the recipe a bit for my favorite grown-up cereal. I bet Fruity Pebbles would probably be good as well! 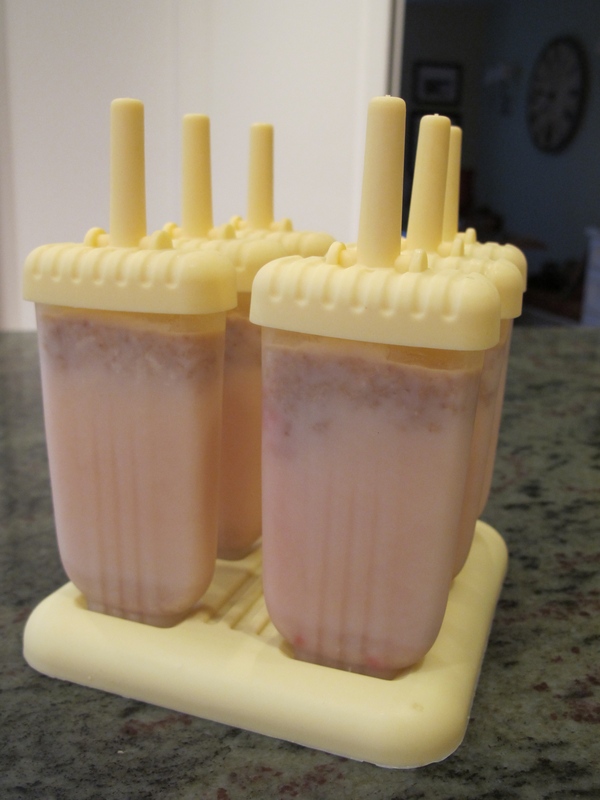 The best way to make popsicles is with a mold, but you can pull off some pretty good ones with small disposable cups and popsicle sticks. Preheat the oven to 300 degrees Farenheit. 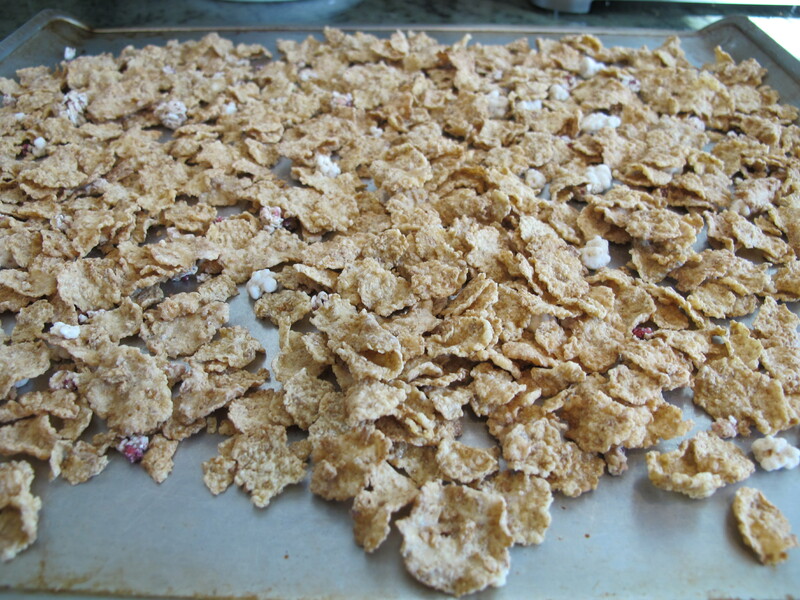 Spread the cereal out on a baking sheet and place in the oven for about 10 minutes. It should make your kitchen smell sort of cereal-y, in a good way. 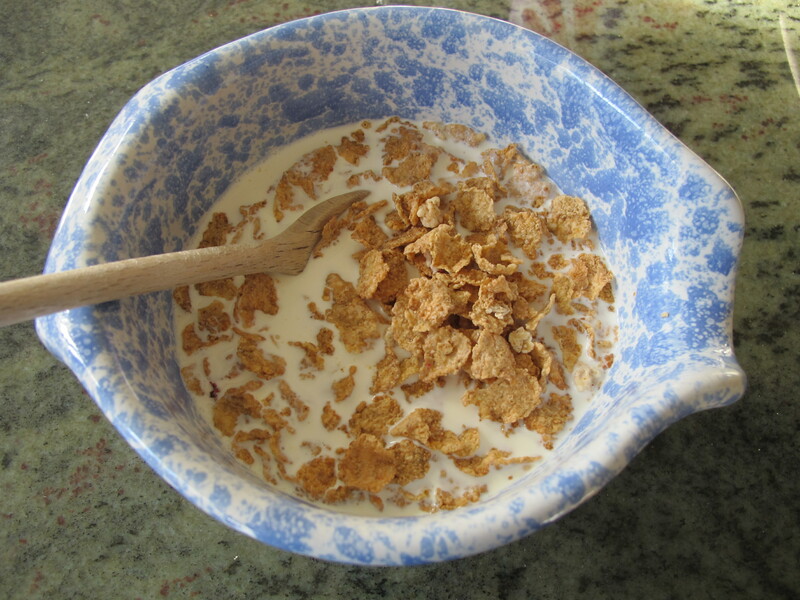 Once you take it out, let the cereal cool while you combine the milk and heavy cream in a sizable bowl. Add in the cereal and stir around a bit, then set aside for 20 minutes to let the cereal soak. 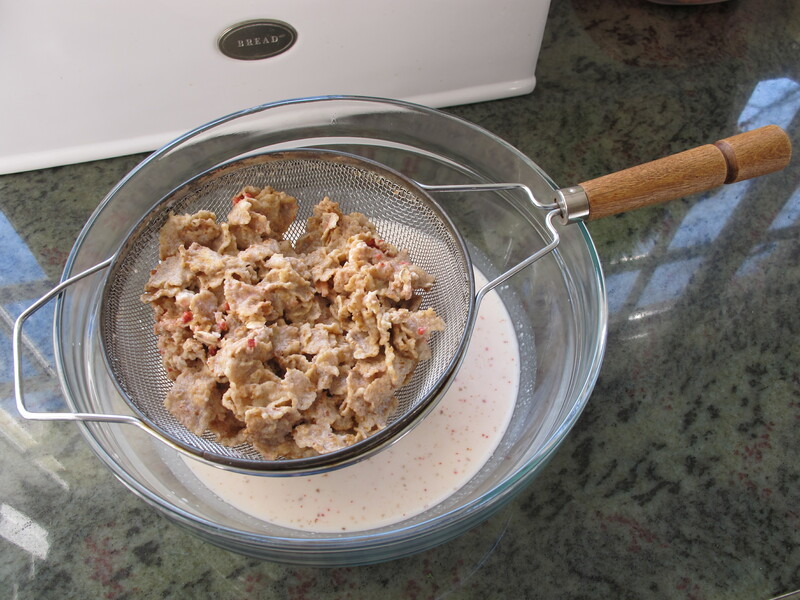 After the soak, grab a sieve and strain out the cereal, with the milk ending up in a microwave-safe bowl. I would recommend tossing the cereal, not eating it — I’m going to be honest, I did eat some, and I think the heavy cream made my stomach hurt. But it tasted good so no regrets. Add the brown sugar and salt to the milk, and throw the mix in the microwave for about 1 1/2 to 2 minutes, just so the brown sugar has dissolved. Stir it up and put the milk in the fridge to cool for about 1/2 hour. 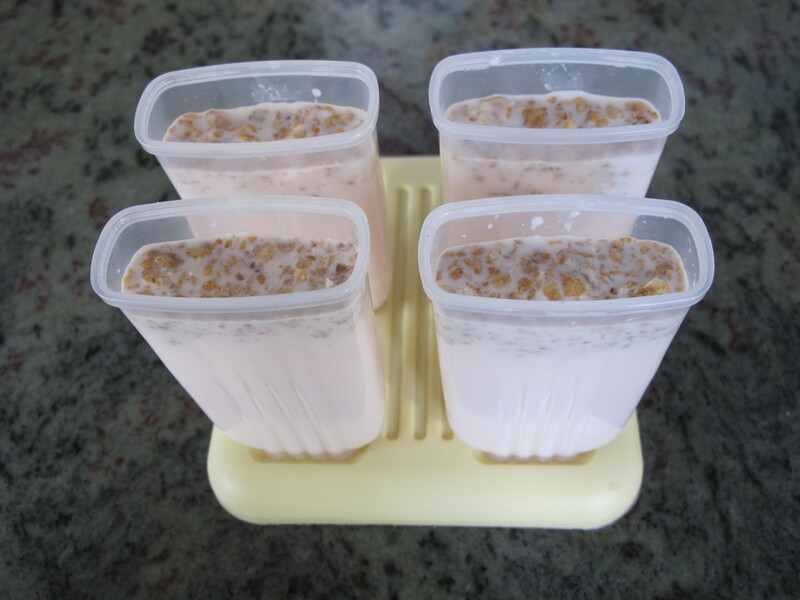 Grab some dry cereal and add it to the popsicle molds (I only added a little bit, but I think the cereal really made the popsicles, so throw in as much as you want). Pour in the cereal milk, and freeze for at least 2 hours. Then take out whenever and enjoy! This entry was posted in Noms and tagged cereal and milk pops, cereal milk, Milk Bar, Momofuku, popsicles, Special K Fruit and Yogurt. Bookmark the permalink.